The Day Two competition of the 2018 ICC World Twen­ty20 East Asia Pacific Sub Regional Qualifier had to be called off yesterday. “The player’s safety is the main priority that we will consider the most,” Gomm told SUNsports. “We are not able to run the game because of the condition of the field. “The game is now schedule for one of the reserve days and that is tomorrow. “Since today’s matches have been postponed than teams will have to recover and resume their matches tomorrow. 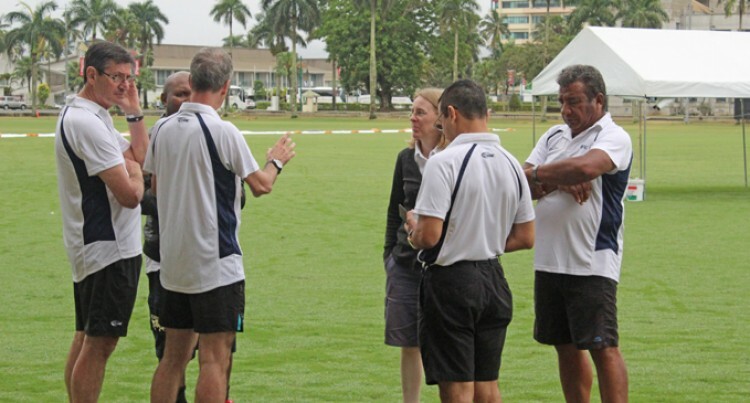 The matches start today at 10am at Albert Park in Suva.